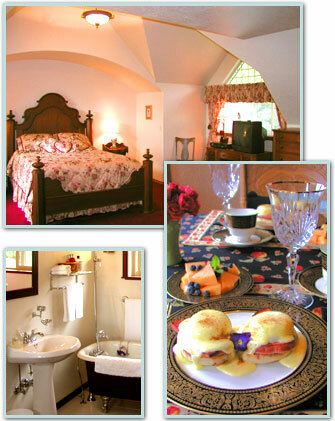 Your hosts, Jody and Darryl Smith, invite you to experience casual elegance at the Bird's-Eye View Bed and Breakfast. It's location, between Silverdale and Bremerton, makes for an ideal destination for exploring Kitsap County, as well, as day trips to Seattle and the Olympic Peninsula. private baths and luxurious beds and linens. • Central location between Silverdale and Bremerton. • Beautiful rooms with fireplaces, private baths & claw-foot tubs. • Olympic Mountain panoramic views.